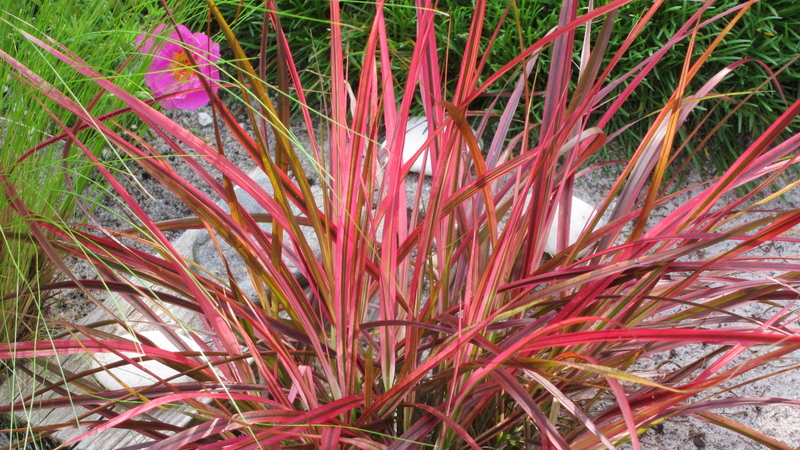 A colorful, upright growing grass with variegated stripes of white, green, burgundy, and hot pink running the length of the blades. 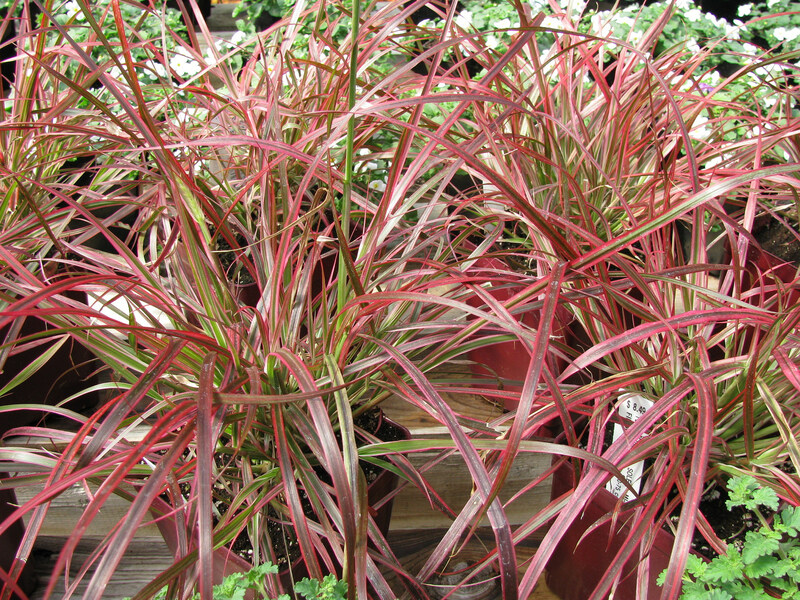 Purple plumes will appear in summer. 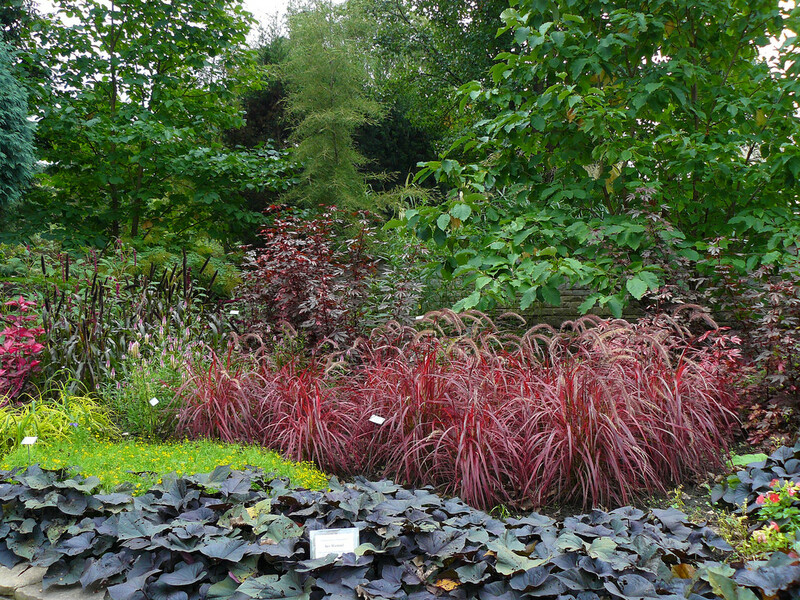 Plant as a specimen or in mass for a display of color. Also great for containers. 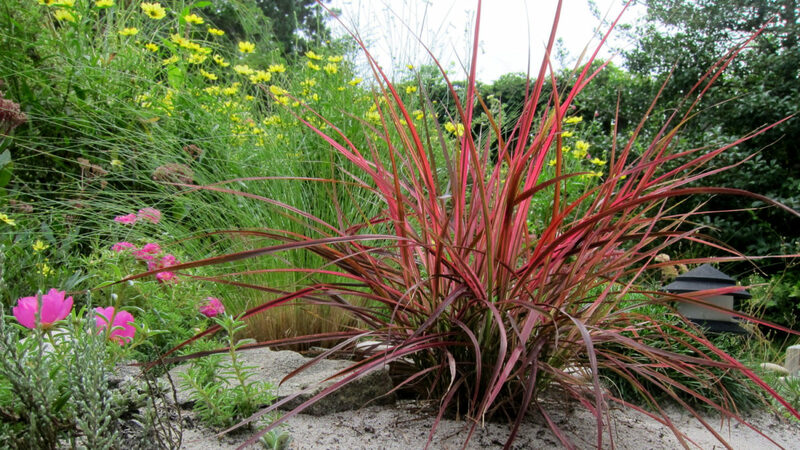 Cut back in late winter to maintain a neat and showy plant.